Clamps onto canes or crutches. 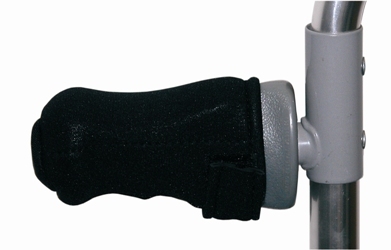 Flip the point up in the retracted position to expose the rubber tip of the cane for normal use. 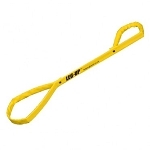 The 5 Cleat Ice Pick for Canes and Crutches is an attachment with five prongs for safely walking on ice. People who live where the ground is covered in ice during the winter will find this ice pick helpful. 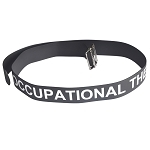 This cane attachment provides people with limited mobility using a walking cane or crutches increased safety for walking in winter conditions. 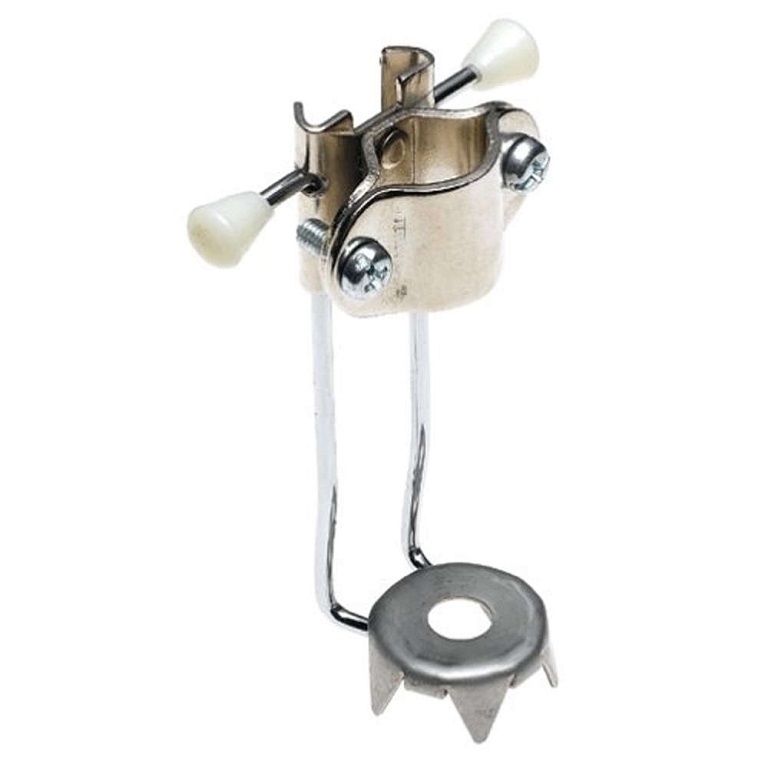 The 5 Cleat Ice Pick is easy to install with the included two screws. 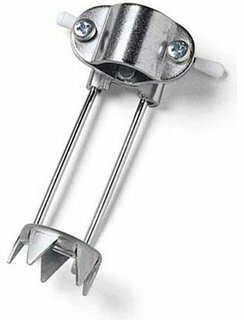 This ice pick attachment fits most canes or walking sticks with a diameter of 5/8 to 1 inch. Simply squeeze the two plastic knobs together to swing the point into place and lock into position for use. 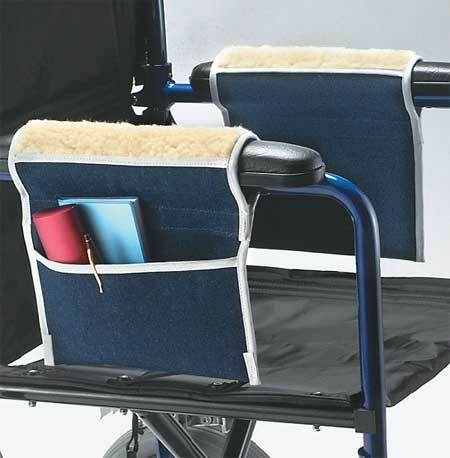 When not needed, flip the point up in the retracted position to expose the rubber tip of the cane for normal use. 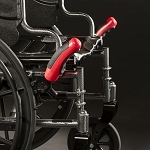 The durable steel five points prevent a cane or crutch from slipping on snow-covered, slushy or icy surfaces. Fits: Canes or crutches from 5/8 to 1 inch in diameter. These have a vicious grip on ice, then fold up easily when you step inside. Fantastic device. I took one star off because the cleats sometimes catch on furniture or clothing when in the up position. Perfect ! Just what the doctor ordered. . .Will work GREAT in the Winter time for walking ! Love it!!! Also bought one for a friend who had broke her leg earlier this year and it sure is helping us both get around in the snow better this winter. Q: Do you put it on either up part on the back part of the cane or the front? A: That depends on how you mount the ice pick to your cane. The cleat itself flips up.